The new attorney general has asked for a review of consent decrees that hold police departments accountable for their misconduct. If there’s one thing we know about President Donald Trump, it’s that he means what he says. In February when Attorney General Jeff Sessions was sworn in, Trump made a promise to protect police officers in what he believes was a climate of dissent against law enforcement— despite strong factual evidence contrary to this belief. “A focus on law and order and the safety and security of the American people requires a commitment to enforcing the law and developing policies that comprehensively address illegal immigration, drug trafficking and violent crime,” the executive order he signed the same day read. Fast forward to this week and Sessions is now actively working to dissemble agreements made with problematic police forces nationwide. In a memo sent March 31 Sessions noted “local control and local accountability are necessary for effective local policing” aligning with the less federal influence beliefs of the Republican party. 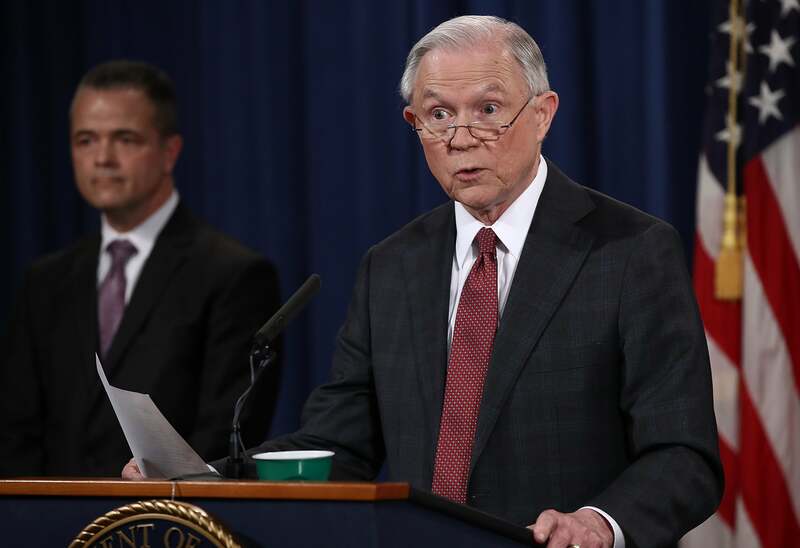 On Monday, as reported by The Washington Post, the attorney general doubled-down, requesting a review of consent decrees made by the Obama administration. One of these agreements was reached in Baltimore after the Freddie Gray case that left a man dead after a fatal car ride in a police cruiser. Put in place by the Obama administration, the agreement calls for changes in the local department that include training officers on how to resolve conflicts without force. But Baltimore is only one case in the list of other troubled police departments addressed in these consent decrees that include Ferguson, Cleveland, New Orleans and Chicago. It should be noted —once again— that concern for Sessions being sworn in as attorney general was based off a long career of racially biased rulings and offensive statements.